When an individual is involved in a shooting related incident, tree stand fall, animal attack, or other hunting accident, it is essential that they have the necessary items to render aid to themselves or to their hunting partners. The TMS Outdoors’ line of trauma kits contain the components necessary for a hunter or outdoor person to provide treatment to ballistic injuries as well as other types of trauma associated with hunting accidents. 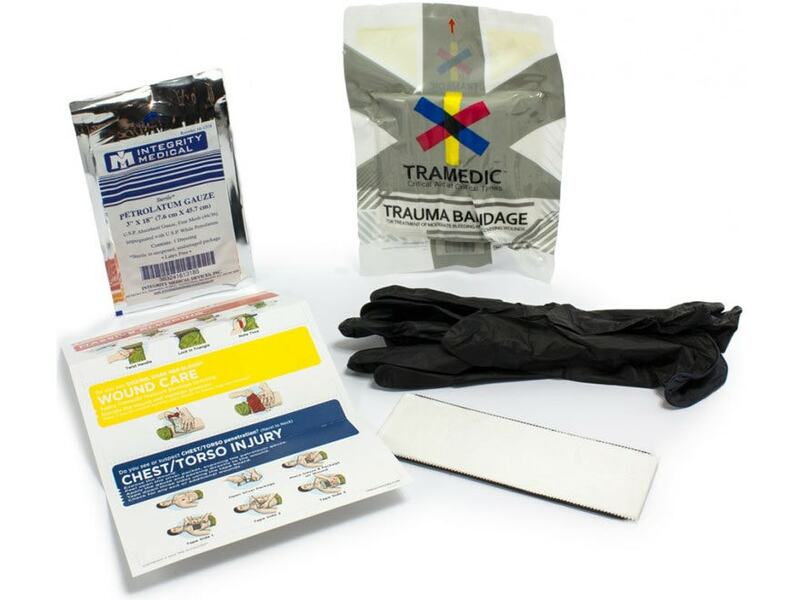 This replacement parts kit will ensure you always have what you need in you Trauma Kit.